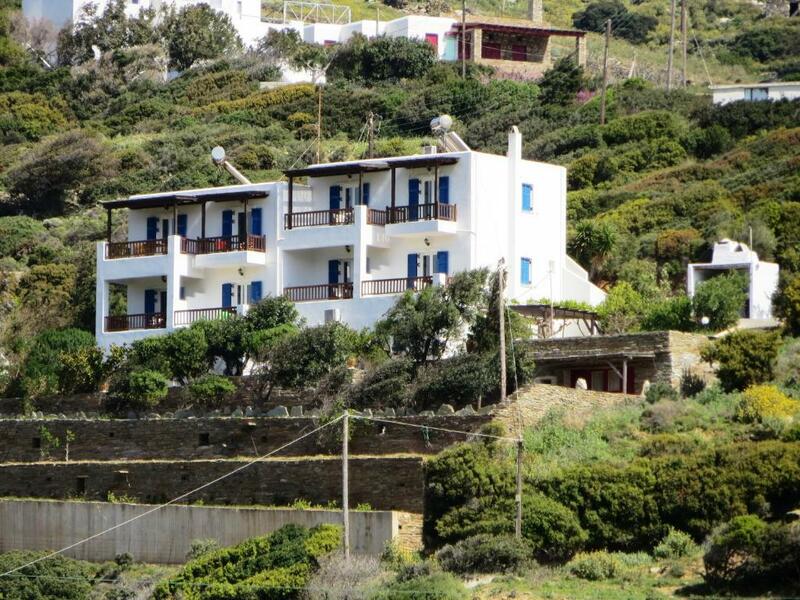 The house is typical cycladic style, positioned close to the fantastic beach of Fellos and to a nice family-run taverna. The apartment is fresh and has everything you need, plus a spectacular balcony. They come and clean it everyday. For 47€ a night in August, it's just a dream! 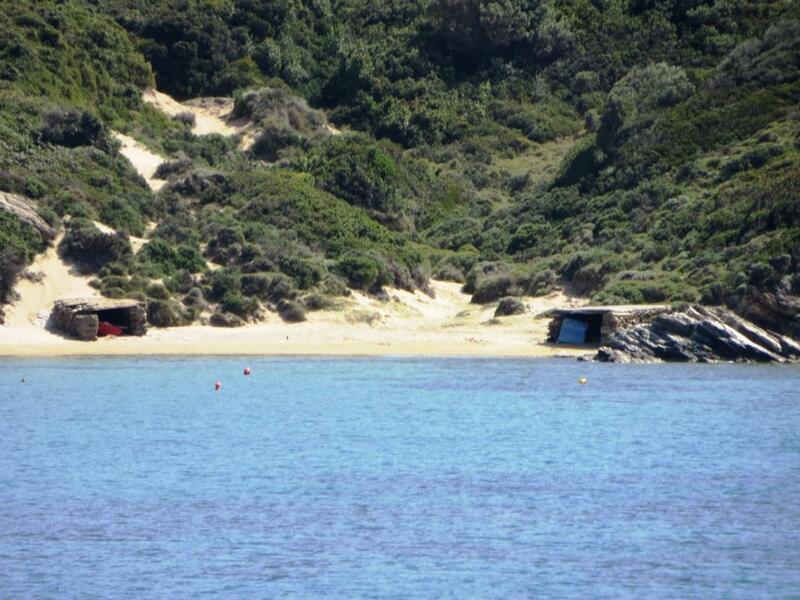 Nice and spacious apartment close to Fellos beach. Daily cleaning. The owners are very nice and there is a restaurant nearby. The port is a few minutes away by car and so are many nice beaches. We had a sensational time! 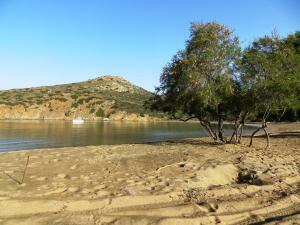 The hosts were extremely friendly and welcoming and offered us lifts into nearby Gavrio whenever we needed. Beautiful view from the room and an easy stroll to the beach, amazing! Anthony and his wife are incredible hosts. Helped with tips about the Island and took care of all our requests. Room wad spotlessly clead and wad made every day. View from the hotel marvelous. We loved everything and Antonio was super helpful. The apartment was spacious and had lovely views over the farms in the valley below and further away to the sea (a nice quiet sandy beach). The best place I have ever been. The rooms are large and clean. There is a kitchen for cooking and a large balcony. The rooms were cleaned every day. A beautiful beach is 10 min walking. The hosts are awsome. They helped and cared for me like relatives. 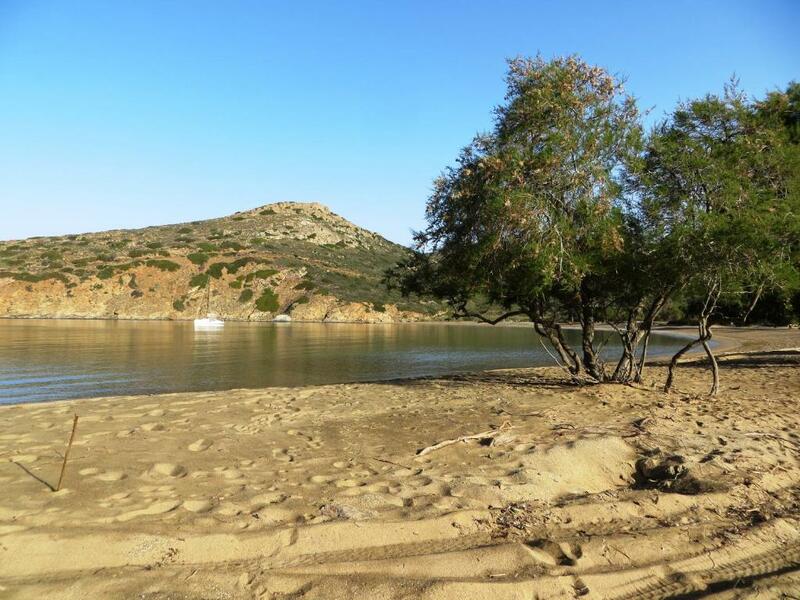 Having rented a car you will have an opportunity to visit such places as Hora, Batsi, Zorkas beach, Korthi. I thank dear Irena, Leonidas and Antonio for the wonderful holiday very much! 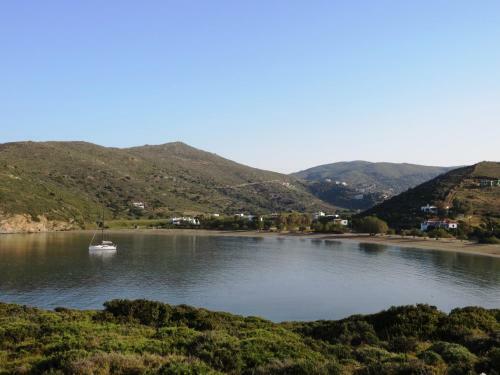 Nice place, surrounded by the countryside and with a suggestive view.The beach is not far and can be reached on foot,and it has trees to provide shadow; nearby there is a nice typical Greek tavern where to eat. The hosts were really kind and helpful to us.The bed is large and the room is kept very clean. Lovely hotel near Gavrio and the awesome Fellos beach. Big, airy rooms and terraces, spotlessly clean. Cleaning and changing sheets was on a regular basis. Our hosts were extremely welcoming and helpful, they felt like family. 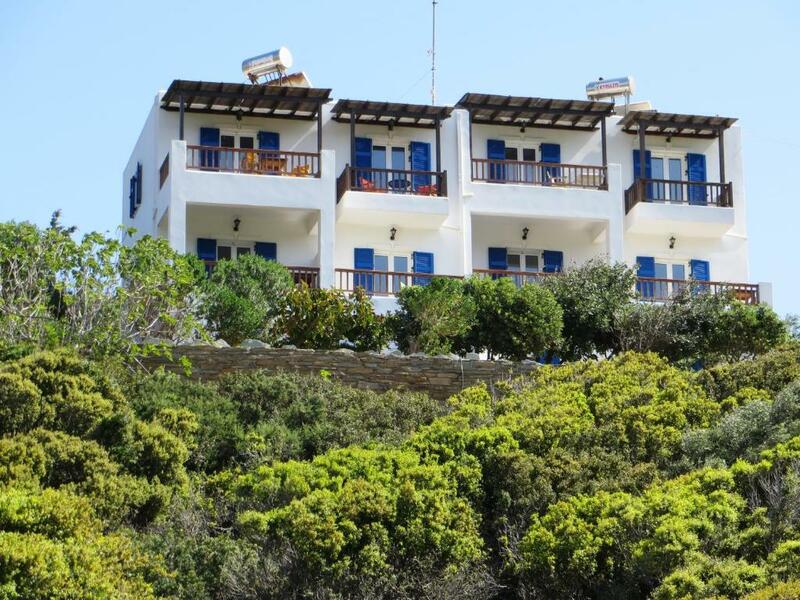 Andros is amazing, we highly recommend both the hotel and the island! Lock in a great price for Valsamia Studios – rated 9.3 by recent guests! 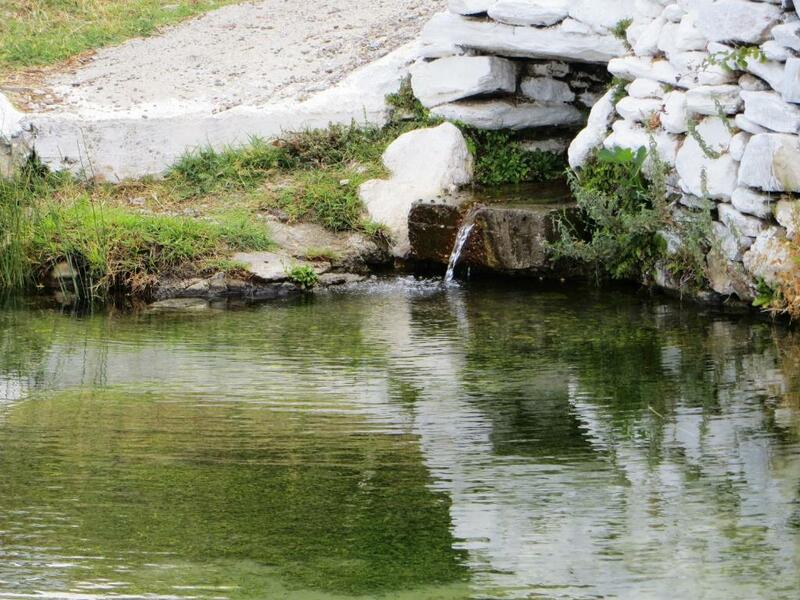 Located in Gavrio, Valsamia Studios offers a barbecue and sun terrace. Port of Gavrio is 1.7 mi away. All units have a balcony with sea and plain views. There is also a kitchenette, fitted with an oven and refrigerator. Towels are available. The nearest airport is Elefthérios Venizélos Airport, 42 mi from the property. When would you like to stay at Valsamia Studios? Featuring a private garden, this apartment is fitted with an equipped kitchen. Featuring 2 balconies and a private entrance, this apartments has 2 bedrooms, a living room and a kitchen. Our studios-appartments are placed in a beatiful green area of Andros and mainly can accommodate lovers of the peace of the nature.In a distance of 750m there is a sandy beach with a lot of trees along the way offering you their nice shadow.Also you can find some of the most wonderful beaches of the island not far from our studios all reachable by car.Last but not least are the enjoyable walks in the marked pathways all over the area ****** Το κατάλυμά μας βρίσκεται σε καταπράσινη περιοχή της Ανδρου και φιλοξενεί κυρίως επισκέπτες που τους αρέσει η φύση και η ηρεμία.Η παραλία απέχει 750 μέτρα και είναι δεντροφυτευμένη κατά μήκος της,με αλμυρίκια που θα σας προσφέρουν τη σκιά τους όσο θα παραμείνετε στην παραλία.Πολύ κοντά απο το κατάλυμα,θα βρείτε τις ωραιότερες και παρθένες παραλίες του νησιού μας,όλες προσβάσιμες οδικώς. Γνωρίστε πεζοπορόντας τα σηματοδοτημένα μονοπάτια της περιοχής μας. The area of Felos is 2,5 km away from the port of Gavrio.It will be preferable to have a car for your transportation from the port to our appartments due to the lack of public transport.Near the beach there is a traditional taverna named ,Andreas, where you can enjoy nice meals and dinners ****** Ο οικισμός της παραλίας του Φελλού,απέχει 2,5χλμ περίπου από το λιμάνι του Γαυρίου.Απαραίτητο κάποιο μεταφορικό,για τις μετακινήσεις σας από και πρός το Γαύριο.Στα 200 μέτρα από το κατάλυμα θα βρείτε την παραδοσιακή ταβέρνα " Το στέκι του Αντρέα",που σερβίρει μεσημέρι-βράδυ. House Rules Valsamia Studios takes special requests – add in the next step! Valsamia Studios accepts these cards and reserves the right to temporarily hold an amount prior to arrival. Please inform Valsamia Studios of your expected arrival time in advance. You can use the Special Requests box when booking, or contact the property directly using the contact details in your confirmation. The shower was very small and the shower head was notq attached to the wall. This made showering quite difficult without getting tangled up in the shower curtain. There is no street lighting so take a torch with you if you are going to the Taverna in the evening. 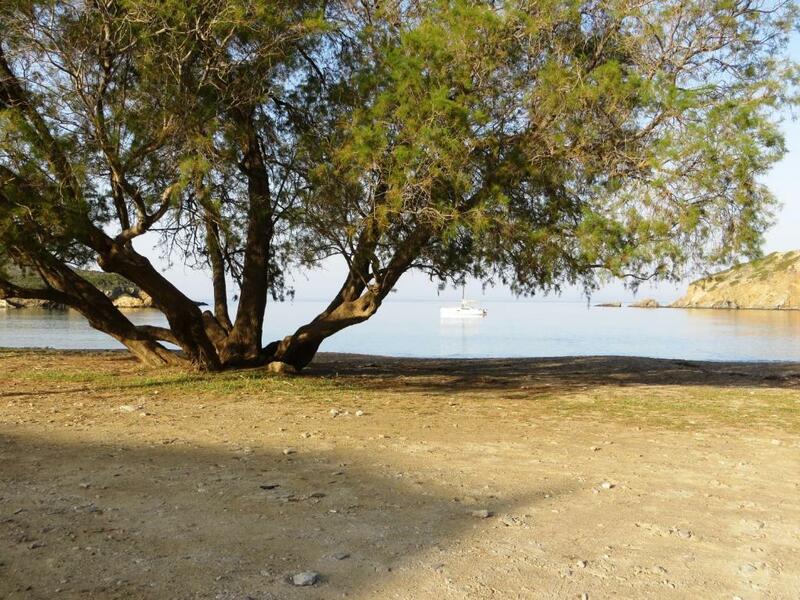 Great location, very quiet and peaceful, within walking distance of a nice beach and family run taVerna. J The host was very nice and helpful. We were offered free coffee and toast when we arrived. Wifi signal was good. Apartment was well equipped for breakfast but any other meal could be a challenge. 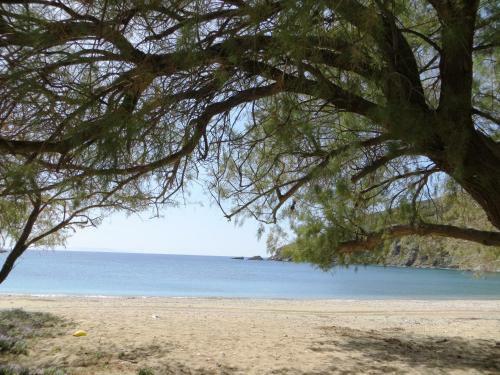 The apartment is 10 minutes drive away from Gavrio town so a car is necessary. Very clean, spacious and comfortable room. Very friendly and helpful owners! Very close to a beatiful beach (Fellos). The rooms were not soundproof ! Amazing hospitality from the owners, close to Fellos beach!